This independent and critical study in economic and social history is based on free access to the records of W.D. & H.O. Wills. Dr Alford traces the history of the firm from its origin to its transformation into a constituent part of a larger company. 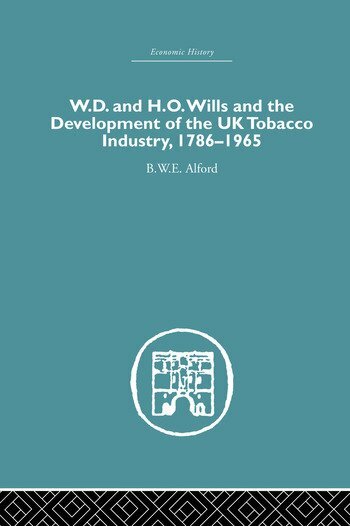 Having played such a leading role in the development of the UK tobacco industry, Willis’ book is more than the history of a single firm, it also provides an important study of a leading consumer goods industry. Drawing on aspects of economic theory, the author examines the firm's development in the light of general aspects of business history. This major study was first published in 1973.